An interactive fiction game about monsters and gender. GENDERWRECKED is a post-apocalyptic genderpunk visual novel about traveling broken lands and kissing/fighting/talking to monsters in an attempt to learn the true meaning of a mysterious force called GENDER. 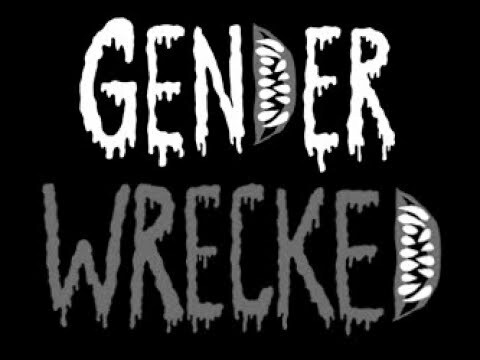 GENDERWRECKED was added by mrmbl in Jan 2019 and the latest update was made in Jan 2019. The list of alternatives was updated Mar 2019 There is a history of all activites on GENDERWRECKED in our Activity Log. It's possible to update the information on GENDERWRECKED or report it as discontinued, duplicated or spam. A serial visual novel/mech brawler about four gay disasters beating up neonazis in giant robots made of meat. Get ready for the worst road trip of all time. Although it is just a small bar downtown, it attracts the most fascinating people this side of dystopia. Alternatives to GENDERWRECKED for Windows, Mac, Linux, itch.io, Software as a Service (SaaS) and more. Filter by license to discover only free or Open Source alternatives. This list contains a total of 6 apps similar to GENDERWRECKED. No reviews yet for GENDERWRECKED, want to be first? Maybe you want to be the first to submit a comment about GENDERWRECKED? Just click the button up to your right!